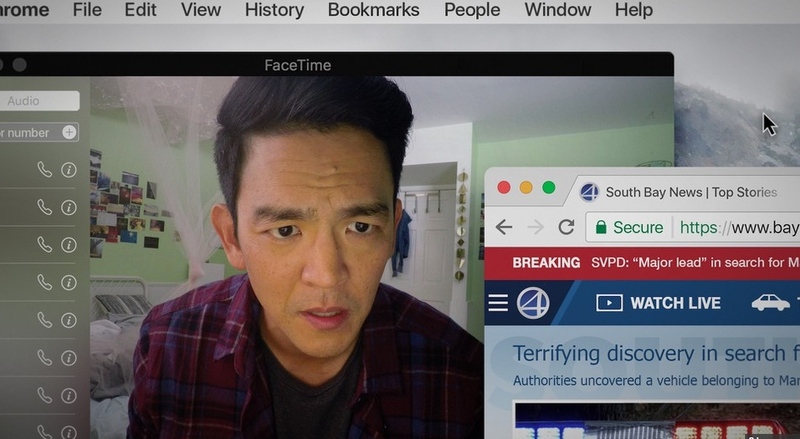 In “Searching,” which stars John Cho as a distraught father, the action unfolds on a computer screen. 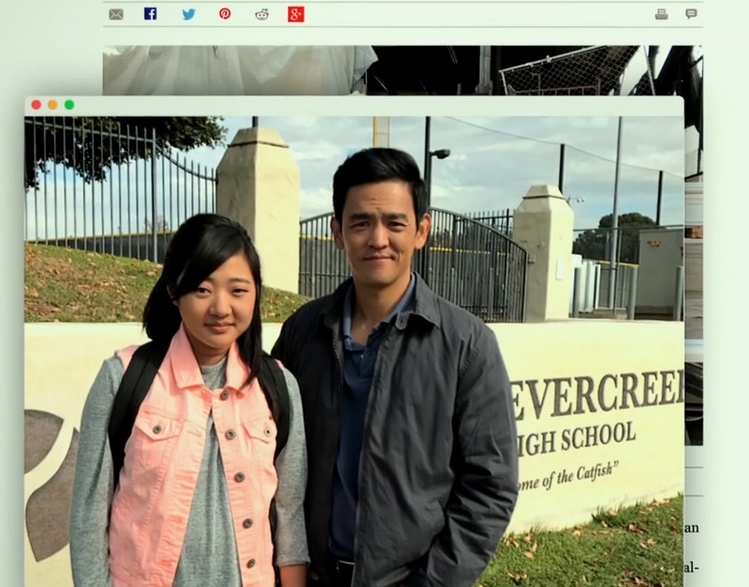 Screen Gems’ “Searching,” the first Hollywood mainstream thriller headlined by an Asian American actor, is now playing at selected theaters and will go into wide release on Aug. 31. It is rated PG-13. After David Kim (John Cho)’s 16-year-old daughter Margot (Michelle La) goes missing, a local investigation is opened and Detective Rosemary Vick (Debra Messing) is assigned to the case. But 37 hours later and without a single lead, David decides to search the one place no one has looked yet, where all secrets are kept today: his daughter’s laptop. Directed by Aneesh Chaganty and co-written by Chaganty and Sev Ohanian, the film also stars Sara Sohn as Pamela, David’s wife and Margot’s mother; Alex Jayne Go as 5-year-old Margot; Megan Liu as 7-year-old Margot; and Kya Dawn Lau as 9-year-old Margot. “Searching” premiered in January at the Sundance Film Festival, where it won the Audience Award and the Alfred P. Sloan Feature Film Prize. It was also nominated for the Variety Piazza Grande Award at the Locarno International Film Festival and the Audience Award at the Sydney Film Festival. Cho, who was born in Seoul and raised in Los Angeles, is a graduate of UC Berkeley and an alumnus of East West Players in Los Angeles. He is a familiar face to both moviegoers and TV viewers. On television, Cho played FBI agent Demetri Noh in the science fiction drama “FlashForward”; Chau Presley in the sitom “Off Centre”; Andy Brooks in the horror drama “Sleepy Hollow”; Andrew Kim in “The Exorcist”; Teddy Wong in the sitcom “Kitchen Confidential”; and Henry Higgs in the sitcom “Selfie,” in which he was the romantic lead opposite Karen Gillan. In 2016, he was the subject of a viral social media movement with the hashtag #Starring.JohnCho, which advocated against “whitewashing” of Asian parts in Hollywood and promoted the casting of Asian Americans in leading roles. The campaign reimagined hit action films and romantic comedies by inserting Cho into various movie posters. Cho was not affiliated with the campaign. Coming on the heels of the hit rom-com “Crazy Rich Asians,” a Hollywood movie with an all-Asian cast, “Searching” marks another milestone for the Asian American community, which in most cases has either been invisible or portrayed stereotypically. “I accept that it’s a big deal. I’m excited,” Cho told Vanity Fair during the Asian American International Film Festival in New York. Cho and his wife, actress Kerri Higuchi, have a son and a daughter.